Pixelmator for iOS has just received a significant update, thereby gaining notable optimizations for Apple’s latest devices … and then some. In launching the iPad Pro, its largest tablet yet, Apple hopes to appeal to a particular group of users: creatives. So it’s only natural for Pixelmator, a tried-and-true layer-based image-editing app for digital artists, to be updated with support for the big-screen device. 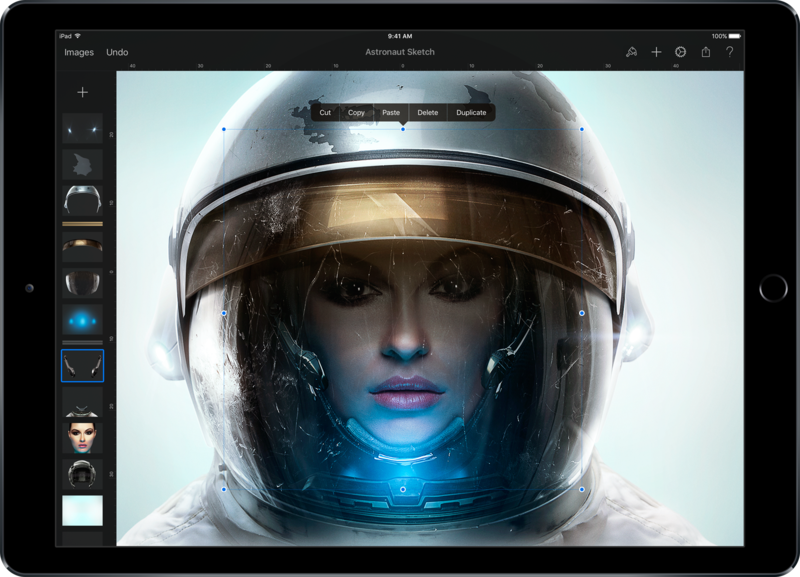 Now, Pixelmator has been optimized for the huge 12.9-inch display and the powerful 64-bit A9X chip of the iPad Pro, enabling you to create and edit images with remarkable ease. Pressure sensitivity: Press firmly for heavy lines and gently for fine brushstrokes. Tilt support: Tilt your Apple Pencil to get thicker and shaded lines. Acceleration support: Vary the pace of your stroke to adjust the weight of the line. Palm rejection: Use the Apple Pencil while resting your hand on the display. Tailored brushes: Paint with over 60 specially tailored brushes. 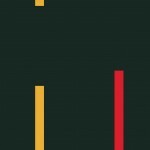 Low latency painting: Paint with lightning-fast response and virtually no delay. 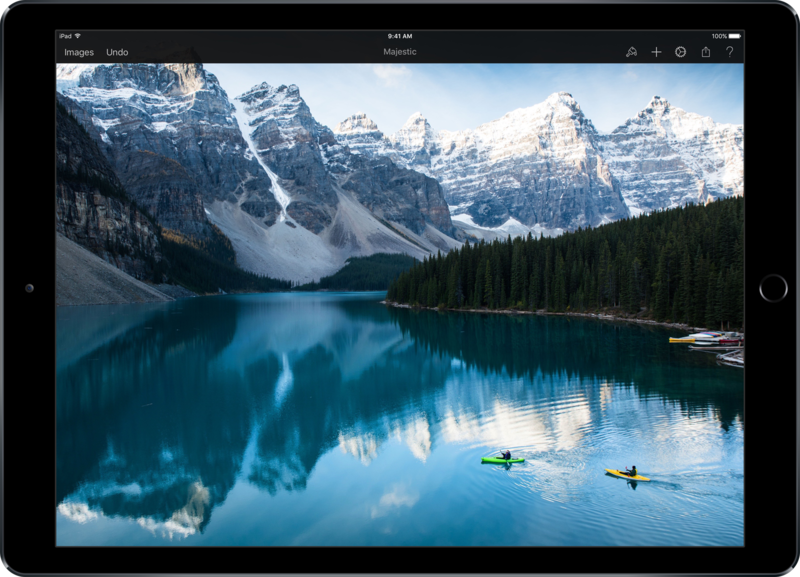 Pixelmator’s iPad Pro optimization also includes 16K image support, allowing you to open and edit images of up to 100 megapixels, such as very large photos and advanced compositions. The latest update to Pixelmator for iOS also boasts support for 3D Touch, Apple’s pressure-sensitive multitouch technology currently available only on iPhone 6s and iPhone 6s Plus. If you own one of Apple’s latest handsets, you can press down on your iPhone’s screen to access shortcuts or activate special actions. 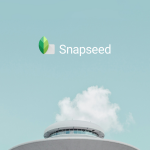 You can press the app’s icon on the home screen to quickly create a new image, open an image from your photo library, or open an image from the gallery. You can also Peek and Pop an image in Pixelmator’s gallery to quickly preview it, duplicate it, share it, copy it to your photo library, or delete it. What’s more, you can take advantage of 3D Touch’s pressure sensitivity to paint in Pixelmator with varying thickness and different tailored brushes. Optimizations for iPad Pro and 3D Touch are more than enough to qualify the new version of Pixelmator for iOS as a significant update. But a bunch of other improvements are actually also included in it. Foremost among those is a collection of Basic brushes designed by artists, including the new Pixel Brush, which lets you create pixel art images. Enhanced crop and straighten performance. Auto-straighten to straighten images with a single tap. 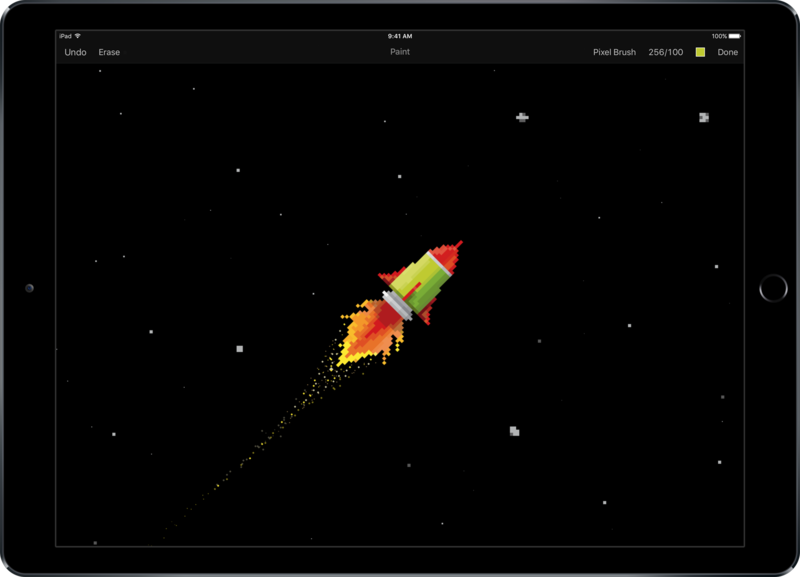 Cropping-lines now snap to objects in your composition. Ability to increase font size up to 1000 pixels. Pixelmator is no longer the default app for opening PDF documents from iCloud Drive. Text with a shadow is now exported correctly. Compatible with iPhone, iPod touch, and iPad running iOS 9.0 or later, Pixelmator for iOS is available on the App Store for $4.99. Based on the acclaimed Pixelmator for Mac, Pixelmator for iOS is a mobile image-editing app that we here at AppAdvice can’t recommend highly enough. You’d be hard-pressed (3D Touch pun very much intended) to find a better alternative.